PGR Presents: two live dates in the Netherlands and Belgium in April! 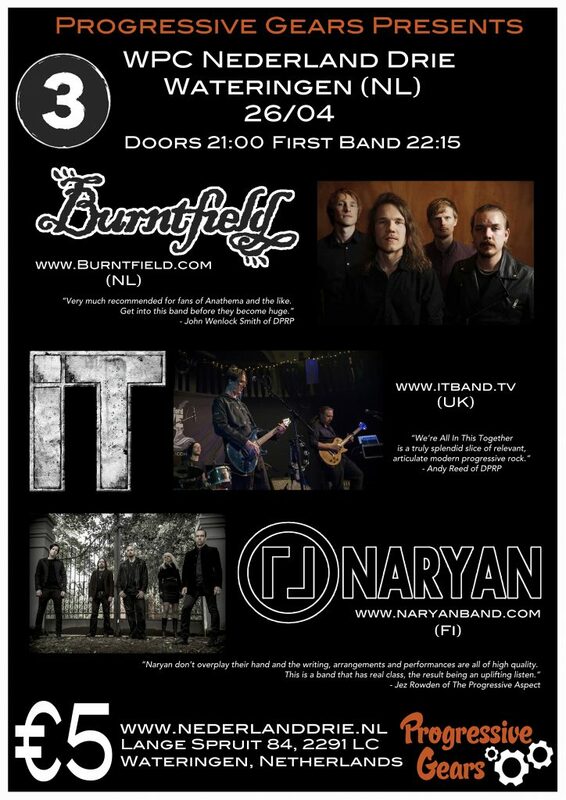 We’re delighted to announce two live dates in The Netherlands and Belgium at the end of April. 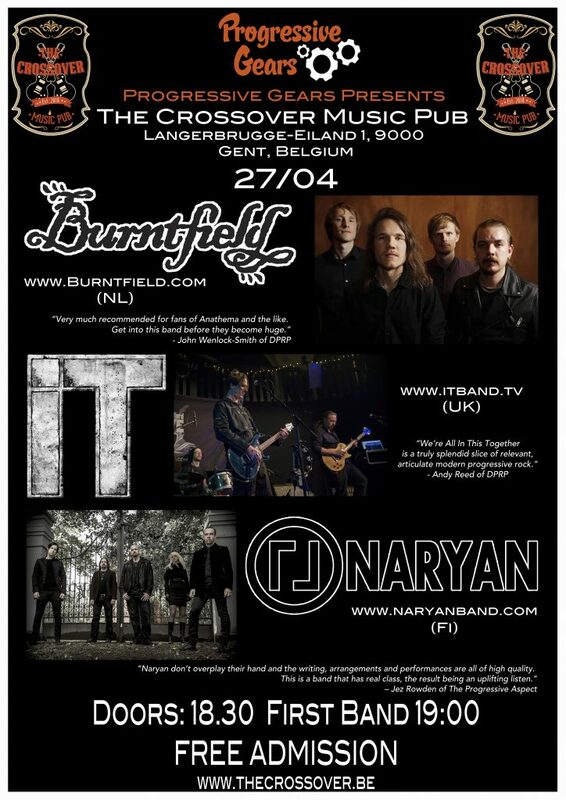 These shows with an all Progressive Gears Records triple-bill – Burntfield, IT & Naryan – will mark the first PGR Presents events in mainland Europe.